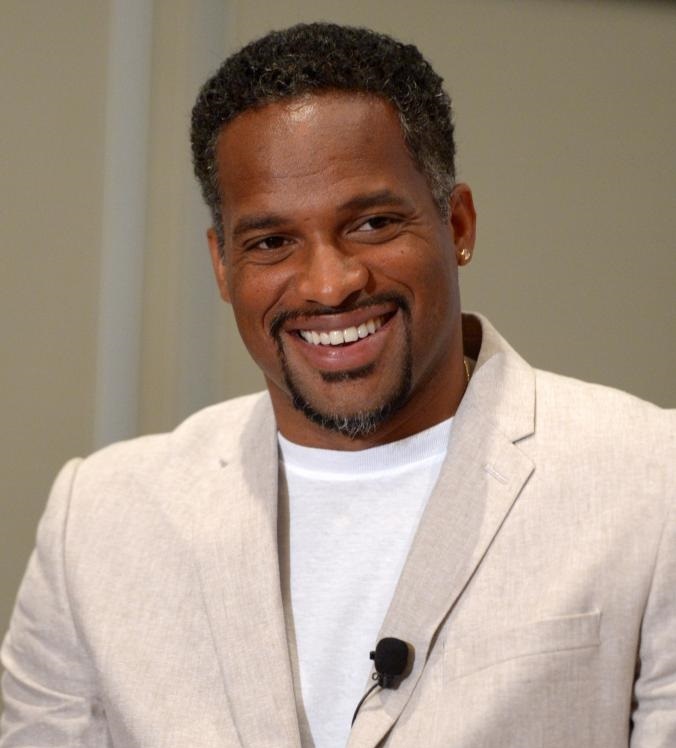 Ato Boldon is the lead track and field analyst for NBC Sports Group. The four-time Olympic medalist made his NBC Sports Group debut in 2007, during NBC’s presentation of the U.S. National Championships. That same year, Boldon also served as an analyst for NBC’s coverage of the Track and Field World Championships. Boldon joined the NBC Olympics broadcasting team in 2008, where he served as a track and field analyst for NBC’s coverage of the Beijing Olympic Games. Boldon continued in that role during the 2012 London Olympic Games. 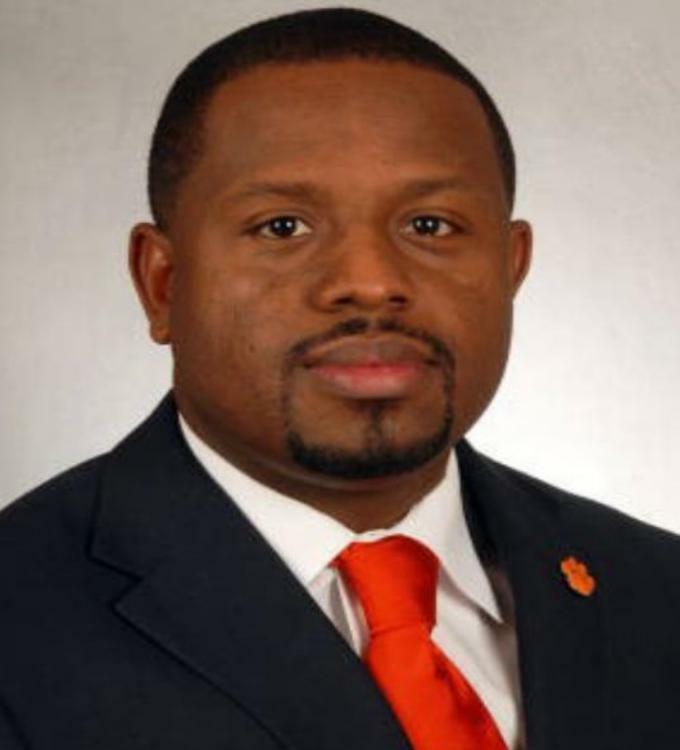 Most recently, Boldon served as an Olympic correspondent at the 2014 Olympic Winter Games in Sochi, Russia. In 1992, Boldon represented Trinidad and Tobago in the 100m and 200m competitions at? ?the Barcelona Olympics. At the 1996 Atlanta Olympics, Boldon won bronze medals in the 100m and 200m events. Boldon won a silver medal in the 100m, and a bronze in the 200m, at the 2000 Olympic Games in Sydney. Boldon retired shortly after the 2004 Athens Olympics, where he helped lead his country’s 4x100m relay team to their first-ever Olympic 4x100m relay final. Boldon wrote, produced and directed the film “Once In A Lifetime: Boldon in Bahrain”. The documentary chronicled his voyage with fellow Trinidad and Tobago fans to the Kingdom of Bahrain, as the Trinidad and Tobago soccer team became the smallest country to qualify for the FIFA World Cup. Byron Scott is a professional basketball head coach, where he last coached for the Los Angeles Lakers. 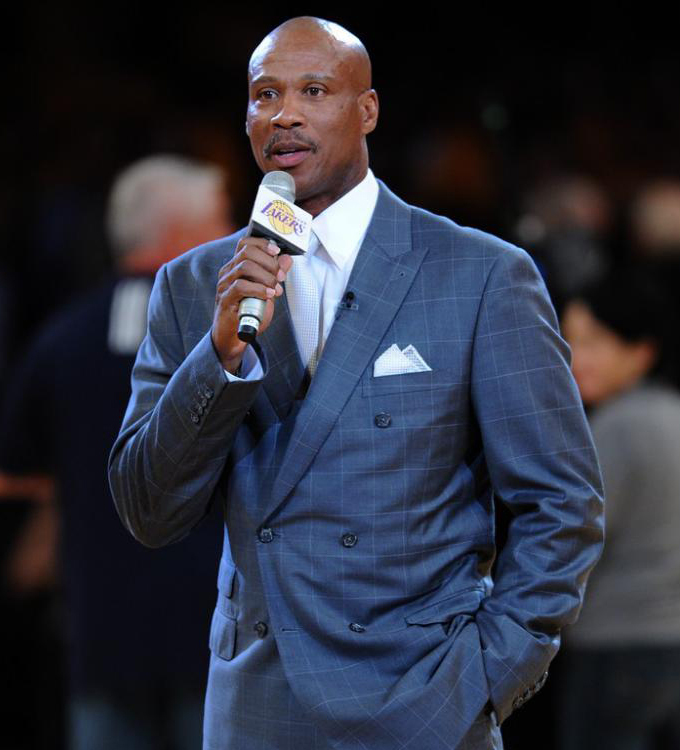 Scott was also well-known for bringing his fierce, competitive edge as a player in helping the Los Angeles Lakers win multiple championships in the years of 1985, 1987, and 1988. Scott, an Inglewood, California native has 3 decades of NBA experience, including 14 seasons as a player, 14 as a head coach, and two as an assistant coach. In his 14 previous seasons at the helm of the New Jersey Nets (2000-2004), New Orleans Hornets (2004-2009), Cleveland Cavaliers (2010-2013), and the Los Angeles Lakers (2014-2016), Scott has amassed 454 wins after beginning his coaching career as an assistant with the Sacramento Kings (1998-2000). The 2007-2008 NBA Coach of the Year has led his teams to the postseason four times, including back-to-back NBA Finals appearances with New Jersey in 2002 and 2003. Scott has also served as an NBA All-Star Game head coach on two occasions: 2002 (Eastern Conference) and 2008 (Western Conference). He’s one of only seven coaches to earn the honor in each conference, five of whom have been elected to the Naismith Memorial Basketball Hall of Fame in a coaching capacity. Scott also became just the eight coaches in NBA history to win Coach of the Month honors in both conferences when he garnered the honors for the Western Conference in January 2008. In his head coaching role with the Cavaliers, Scott developed a number of young Cavaliers players, including Kyrie Irving and Dion Walters, and topped his previous win total each successive season in his three years with the rebuilding Cavs. Among his other coaching achievements, Scott was at the helm for the best season in franchise history of two teams: the 2007-2008 Hornets who went 56-26 (.683) and the 2001-02 Eastern Conference Champion Nets who went 52-30 (.634). The ’07-’08 campaign was 17-win improvement from the previous season in New Orleans, and resulted in an appearance in the Western Conference Semifinals. Scott also saw marked success in his second season with the Hornets during the 2005-2006 season, leading the team to a 20-win improvement (the NBA’s best that year) from his first season, despite hurricane Katrina displacing the team from New Orleans and playing in four different home arenas throughout the season. Scott had a similar impact in his first head coaching stop, improving the Nets by 26 wins between his first and second seasons, making the sixth-largest improvement in NBA history. Prior to his successful coaching career, Scott enjoyed an outstanding NBA playing career, spending 11 of his 14 seasons (1983-93 and the 1996-97 season) with the Lakers and helping the purple-and-gold to three NBA Championships (1985, 1987, and 1988) and six NBA Finals appearances as an integral starter during the ‘Showtime’ era. Originally selected in the first round of the 1983 NBA Draft (4th overall) by the San Diego Clippers, Scott became a Laker on October 16, 1983 when the Clippers traded him. One of the marquee shooting guards of his time, Scott concluded his 1,073-game NBA career (717 starts) with averages of 14.1 points, 2.8 rebounds and 2.5 assists on 48.2% shooting in 28.1 minutes per contest. The 6-4 guard had his best single season in 1987-88 where he achieved career-high per game averages of 21.7 points, 4.1 rebounds and 4.1 assists while starting 81 games and ranking 8th in the NBA in minutes played (3,048) and 9th in three-pointers made (62). Scott finished in the top-10 in three-point field goal percentage four times in his career: 1984-85 (.433, 1st), 1986-87 (.436, 4th), 1988-89 (.399, 10th) and 1989-90 (.423, 5th). A consummate winner, Scott reached the postseason in 13 of his 14 years in uniform, tallying 183 postseason games (122 starts), posting career playoff averages of 13.4 points on 48.2% shooting, 2.9 rebounds and 2.1 assists in 29.3 minutes per game. His 183 career playoff appearances ranks 11th all-time in NBA history. The 1983-84 NBA All-Rookie First Team selection saw his NBA playing career come full-circle after signing with the Lakers as a free agent prior to the 1996-97 season following stints with Indiana (1993-95) and Vancouver (1995-96), when the 35-year old shooting guard mentored 18-year old rookie, Kobe Bryant. After retiring from the NBA following that year, Scott played the 1997-98 season overseas, winning a championship for Pananthinaikos in Greece before moving into coaching. Most recently, the Arizona State University Hall-of-Famer was an on-air talent for Time Warner Cable SportsNet programming last season. His broadcasting experience began during the 2003-04 season when he served as a studio analyst for ABC’s NBA telecasts and continued during the 2009-10 season when he was an analyst for ESPN’s coverage of the NBA. Byron Scott is the proud father of three children: Thomas, LonDen and DaRon and blessed grandfather of three granddaughters. 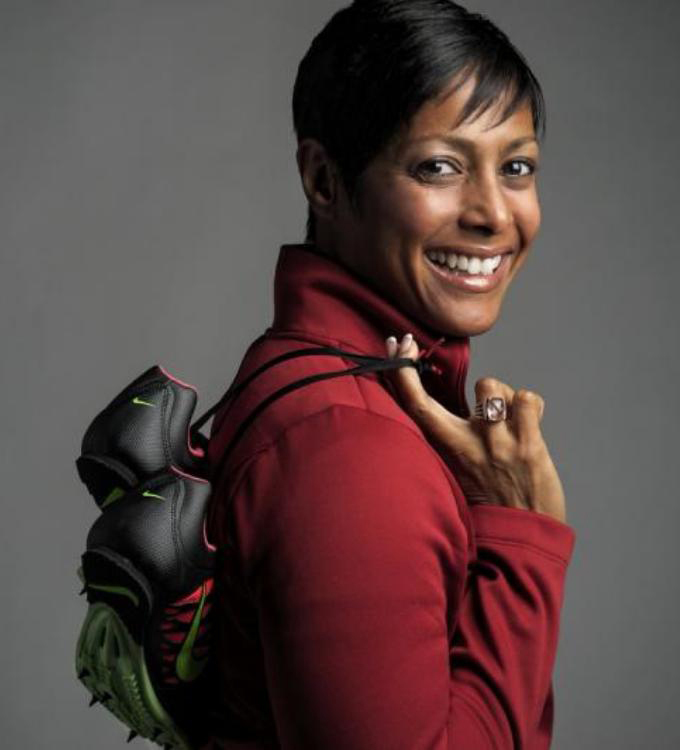 Caryl Smith Gilbert was named USC’s Director of Track & Field on June 17, 2013. In her first season as the Director of the Trojan’s Track & Field program, she lead the men’s team to a fourth-place tie and the women’s team to a 16th-place tie at the NCAAs. Notably, the women’s team won the MPSF Indoor Championship, and both the men’s and women’s teams placed second at the Pac-12 Championships. Additionally, USC amassed 28 first-team All-America honors, posted 22 all-time top 10 school marks. Smith Gilbert was named the Indoor and Outdoor NCAA West Region Women’s Head Coach of the Year, and the Indoor MPSF Women’s Head Coach of the Year. Off the track, Smith Gilbert’s student-athletes earned 13 Pac-12 All-Academic selections. During the summer 2012 London Olympics, Smith Gilbert trained U.S. Olympian DeeDee Trotter to her third appearance in the Summer Games, and her first individual Olympic medal (a bronze), as well as a second gold medal on the 4×400 relay. Prior to Smith Gilbert’s Directorship at USC, Smith Gilbert spent six seasons at the University of Central Florida (2008-13) where she was a six-time Conference USA Coach of the Year at the University of Central Florida. During her UCF tenure, the Knights won six Conference USA track & field outdoor and indoor championships. Under Smith Gilbert’s tutelage, the Knights’ women’s team finished the season with a program-best fifth place finish at both the 2013 NCAA Track and Field Outdoor and Indoor Championships. Smith Gilbert was named the U.S. Track & Field and Cross Country Coaches Association South Region Coach of the Year for a fifth time in 2013 as she guided UCF to its first-ever outdoor national Top 10 ranking in the USTFCCCA poll. Having been the only coach to have three 100 meter runners ranked among the Top 10-seeded qualifiers at the NCAA meet. Twelve school records were broken in the 2013 outdoor season while the team won its fourth-straight C-USA title, a feat unmatched by any other women’s track and field program in conference history. UCF’s eighth place finish at the 2012 NCAA indoor meet was the program’s best at the time. UCF won the C-USA outdoor title and capped the season by sending four Knights to compete at the USA Olympic Trials. During the 2008 and 2009 seasons, she also served as the jumps and multi events coach of Team USA at the 2009 IAAF World Outdoor Championships in Berlin. Smith Gilbert came to UCF after five seasons (2003-07) as an assistant coach at Tennessee, where she was responsible for coaching sprints, hurdles and jumps. Her Lady Vol athletes won three NCAA titles and seven Southeastern Conference championships while earning 53 NCAA Division I All-America honors. A grand total of 19 school records had been broken during her tenure as an assistant coach. In 2005, Smith Gilbert was named U.S. Track Coaches Association National and Mideast Region Assistant Coach of the Year for sprints and hurdles. Smith Gilbert also helped the Lady Vols win SEC Indoor Championships in 2005 and 2007 and an NCAA Mideast Regional outdoor crown in 2005. The Lady Vols finished in the top four at the 2004, 2005 and 2007 NCAA Indoor Championships. 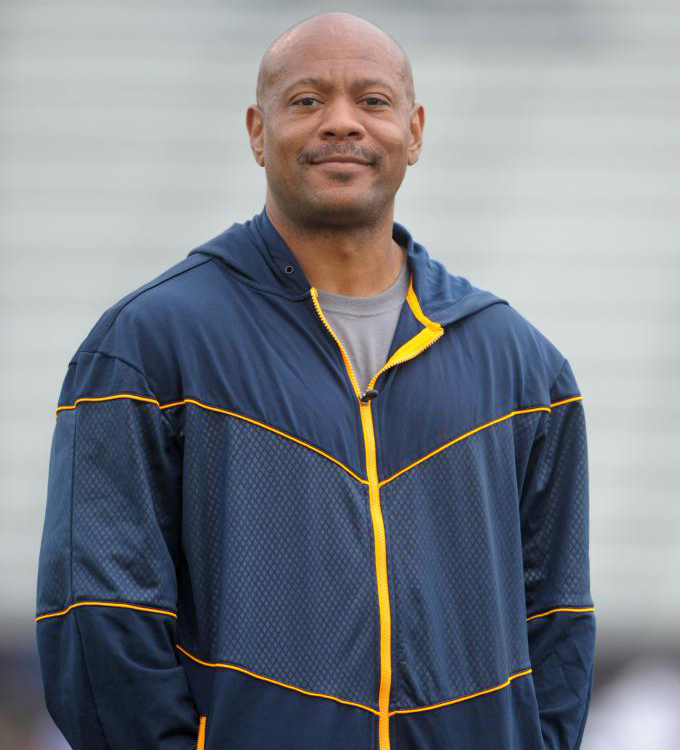 Smith Gilbert was an assistant coach at Alabama for three years (2000-02), guiding athletes in the sprints, hurdles and jumps. During her tenure with the Crimson Tide, she produced seven NCAA Division I All-Americans and four USA Olympic Trials qualifiers. She held similar responsibilities as an assistant at Penn State for two seasons (1998-99), where her Nittany Lion athletes the finals at the Big Ten Championships on 10 occasions. As a student-athlete at UCLA, Smith Gilbert went on to become a three-time All-American at UCLA, where she was a Pac-10 champion in the 100-meter dash, 4×100-meter relay and 4×400-meter relay. She was part of an NCAA Championship runner-up 4×400-meter squad and was an All-American in the 4×100-meter relay in 1988 and 1989. Caryl Smith Gilbert is married to former NFL linebacker Greg Gilbert, and they enjoy spending their free time with their three sons: Alex, Spencer and Osiris. 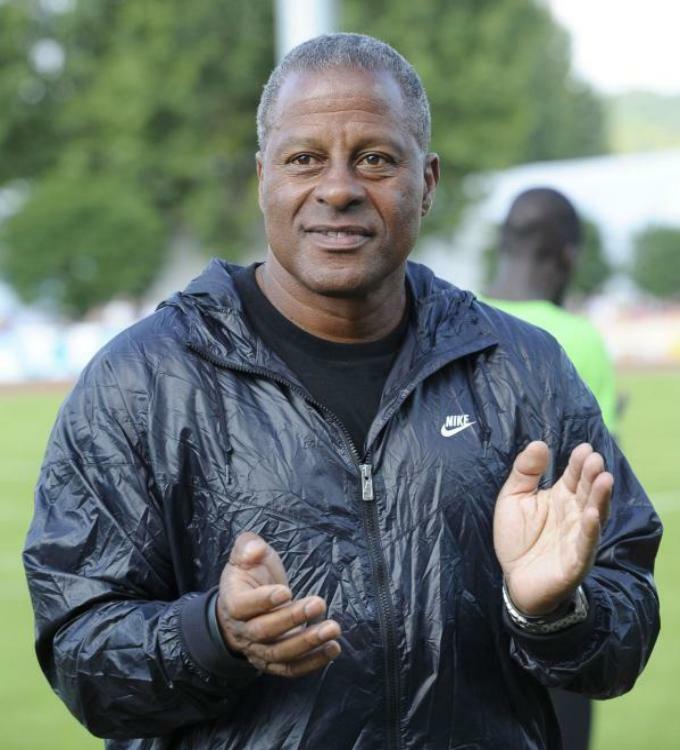 Coach Smith currently coaches a talented group of athletes that includes the likes of: English Gardner (100m – US Champion) and Gil Roberts (400m). A Los Angeles native, Smith is a former American Olympic athlete who competed in the sprints events during his career. He is best known for breaking the world record in the 440y and winning the men’s 400 meters at the 1971 Pan American Games. He also won the NCAAs in 1971-1972, running for UCLA. Smith was world-ranked #1 in 1971. Kaaron Conwright is the current assistant coach to John Smith. He also travels with HSI athletes to competitions worldwide. Kaaron was also the former coach of the South Korea Athletic National Team. As a sprinter, Kaaron had apersonal best time of 10.10 in the 100m and 20.59 in the 200m. As a graduate of Cal Poly San Luis Obispo, he was a three-time Big West Conference outdoor champion and World University Games 4X100m relay gold medalist. In recent years, Johnson has gained notoriety for his coaching accomplishments with both collegiate and professional athletes. In 2013 at the USATF annual meeting, Johnson was honored and named USA Track & Field’s Nike Coach of the year. Johnson currently coaches a group of talented athletes that includes the likes of some of the best female hurdlers in the world; 2016 100mH Olympic Gold Medalist Brianna Rollins, 2016 400mH Olympic Gold Medalist Delilah Mohammed, and 2016 100mH Olympic Bronze Medalist Kristi Castlin. Additionally, Johnson trains NFL Draft prospects while also coaching at California State University at Northridge. 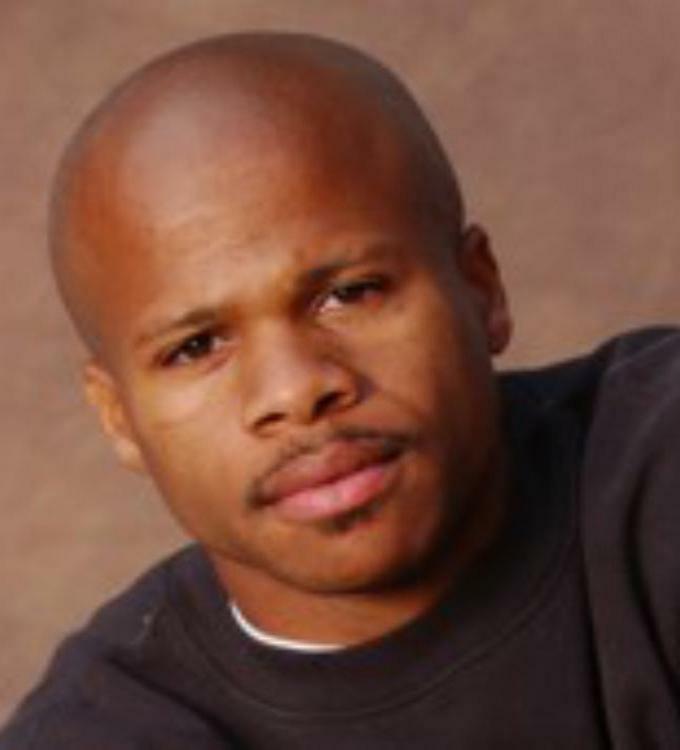 Maurice Greene (born July 23, 1974) is a retired American track and field sprinter who specialized in the 100 meters and 200 meters. He is the current 60m World-Record Holder and former 100 m world record holder. During the height of his career he won four Olympic medals and was a five-time World Champion. This included three golds at the 1999 World Championships. Click here to read more about Maurice Greene’s profession and post-track career.